In a recent webinar, we covered cemetery marketing and the full recording is available here, but if you’re pushed for time, here’s a small extract! This is the backdrop to some of the most powerful and exciting things you can do with your cemetery marketing. Very simply, people are interested in their family’s history and are searching for records. Cemeteries being the owners of that data gives you a huge opportunity to connect with the public all around the world! The scale of interest is such that genealogy is currently the second most popular hobby in the US, in terms of online category visits. Some estimates value that by the end of 2018 the market will be worth $3B, and right now, cemeterians hold the key to part of the puzzle. 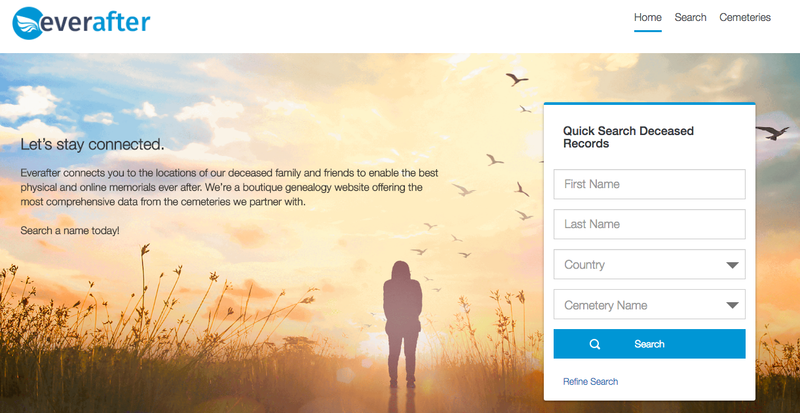 We know these records enable the public to explore their ancestry, but for cemeteries, how do you effectively and appropriately monetize these opportunities to grow your business? To maximise your opportunity with your records and data, you must be active with inbound marketing. Essentially speaking, ‘inbound’ is a more customer focused way of executing the buying and selling processes. It is empathic, human, friendly and draws people in...when buyers are ready, driven by their behaviour and decisions that they make online. That's the beauty of it, it's not invasive or pushy, if you’ve an inbound strategy, your website visitors and leads will be there of their own accord and that’s a great place to be! The ‘inbound’ process focuses on attracting prospects, bringing them through the buying process with the aim of a purchase being made, and the customer eventually becoming an advocate of your business and in turn a promoter of your product/service. They key to success is to provide value during the process by sharing knowledge where and when the buyer needs it and on the topic they seek. Next move to conversing by email (or buyers alternative preferred method) when they’re willing and ready. So we know inbound gives you the opportunity to generate leads by being open to the buyer’s needs, providing value and information as and when needed. By doing this your leads will tend to be ‘warmer’ as they’ll have displayed a need and genuine interest in a specific area. Your sales team will thank you for that! It is important however to recognise the many different ways how leads can come in to your business and how you can capture and capitalize on all opportunities. The golden rule - always aim to capture an email, in return for offering the buyer something of value! A recent poll carried out by PlotBox suggests that 55% of cemeteries asked, did not have methods for capturing email/contact information if a potential customer dropped into the cemetery office or made an enquiry by phone. If you count yourself within this 55%, you’re simply letting sales and relationships walk out the door and for many more engagement to never start. Don’t limit yourself by not capturing your future customer’s contact details wherever you can, but do do it organically, in a more human way, by reaching out and ‘offering’ them something. Capturing this information is vital to keeping in touch with prospects and bringing them back for more. PlotBox’s unique software enables our customers to have their own ‘branded’ version of Discovereverafter.com, the leading boutique genealogy website, which is accessed at the click of a button from their own website. DiscoverEverAfter.com connects users to the locations of deceased family and friends to enable the best physical and online memorials ever after. As Ever After offers the most comprehensive data from the cemeteries we partner with, its a fantastic lead generator, sales tool and customer service application, which allows families to research loved ones and imminently purchase flowers, organise memorials and request grave maintenance etc. Rooted in the power of GPS locations and high resolution drone imagery, Ever After also includes our revolutionary ‘Walk to Grave’ app, where users can locate loved ones and be directed to the precise plot location on their smartphone. In a recent PlotBox poll, almost ⅓ of cemeteries said it typically took over 30 mins from the point a family enter the office to enquire about a plot location and arriving plotside. Think about the time and effort you’ll be able to save your families by use of Ever After. 5 - E-Commerce Opportunities - Enabling You to Sell More! The convergence of data and widespread adoption of the internet at business and consumer levels has transformed the scope of opportunity for business development. Sure your core business is a constant, but where appropriate, ancillary goods, services and experiences can now be rolled out like never before. Think flower delivery. While it's not a new thing in itself, we’re working with our partners to develop the next generation of flower delivery. Order online, from your branded Discovereverafter site. That's an order placed with you, online and not via a third party florist. Using PlotBox’s GPS locations, the flowers are then delivered right to the grave. Imagine the time saved from having hundreds of flowers delivered to your reception each year, only for your staff to have to walk out, locate a grave and place them themselves. Again, time saved and increased revenue at the same time…it’s a win win situation! Services like grave cleaning, grass cutting, placement of memorials or personally significant items on an anniversaried basis are coming to market too. Being a culture that values experiences, and thinking about the trend for cinema in dramatic environments, with movies that have synergy with surroundings - cinema screenings in cemeteries are tried and tested for some. Sales and marketing technology have also made it more accessible than ever to run and promote your own events. Similarly for yoga, running, pilates, nature areas and more, cemeteries can have wide scope for creating lead and revenue potential. Even more aspirationally, with global interest growing in Genealogy or ‘Roots’ Tourism, there are now genealogy cruises running between the UK and US, where passengers build vacations around discovering their heritage. 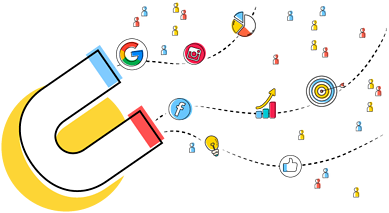 For cemetery managers this is another opportunity for you to optimise your website with helpful content that makes it easy to get visitors to the sites of interest. Think about hotels, directions, local attractions, book an appointment, tours and more. With the overall objective to bring people on to site, build relationships, sell plots, anniversary flowers and services. Its aspirational that's for sure, but change is happening and technology is making new things possible everyday.